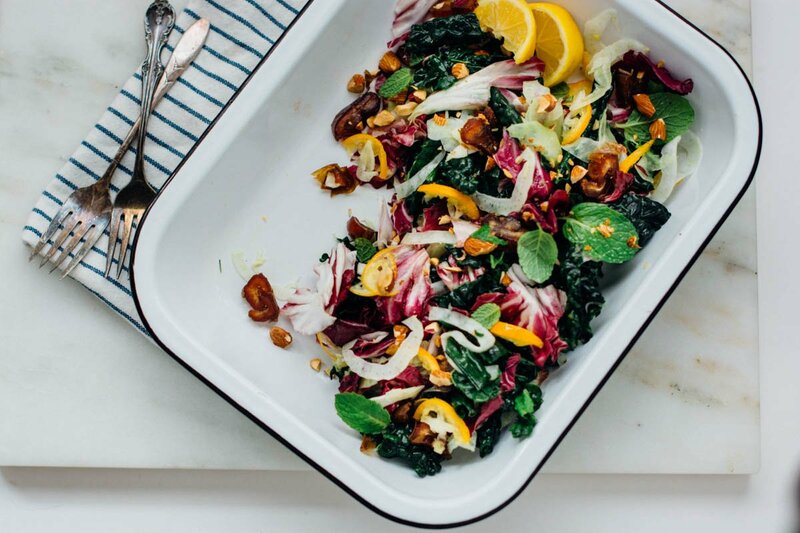 In the dead of winter, it’s hard to get enthusiastic about salad. 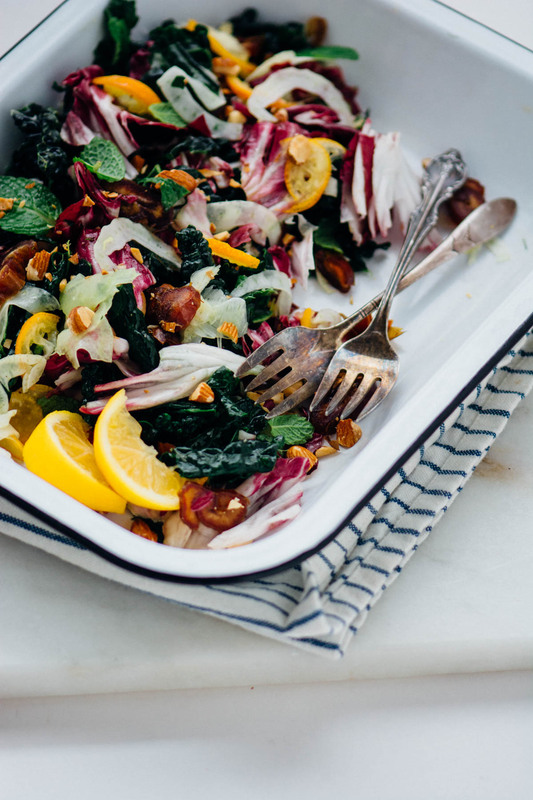 But sometimes a salad can be just what you need after days of eating rich stews and casseroles. 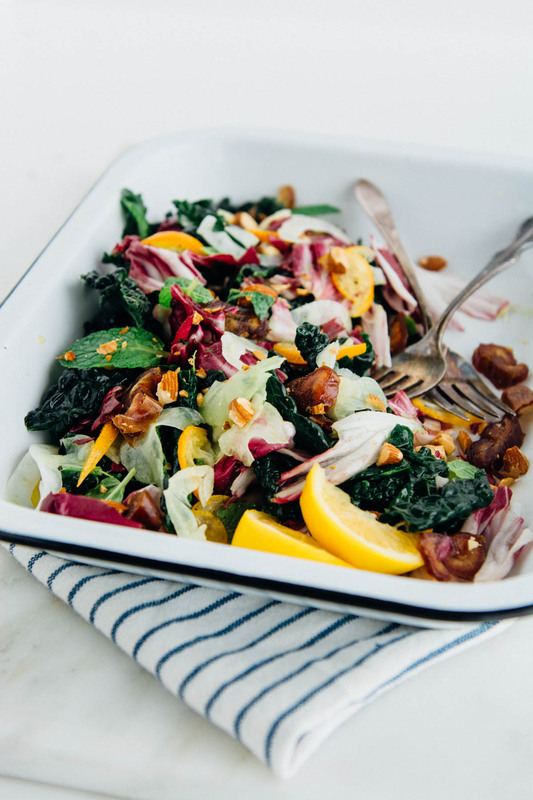 This date kumquat radicchio kale salad is just the right combination of sweet, tart and tangy to wake up your tastebuds and get you singing the praises of salad. 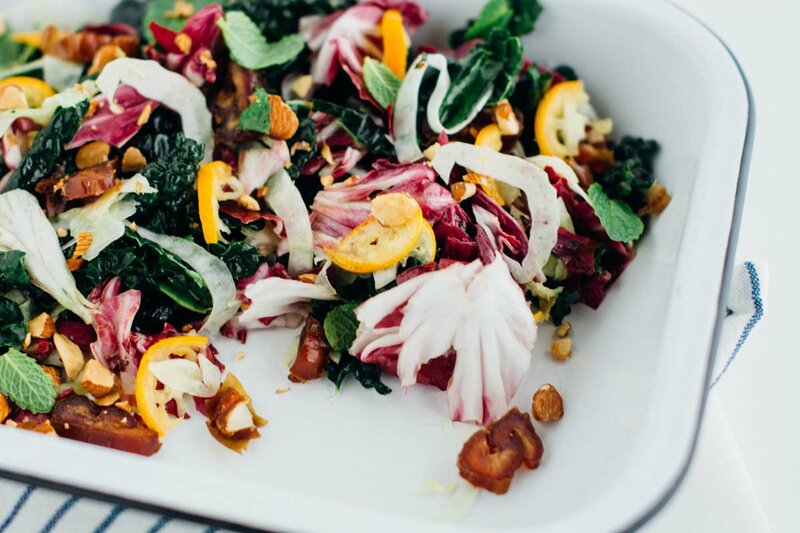 If you haven’t eaten radicchio before I highly recommend it, it’s slight bitterness pairs really well with the sweetness of dates and tartness of kumquats. 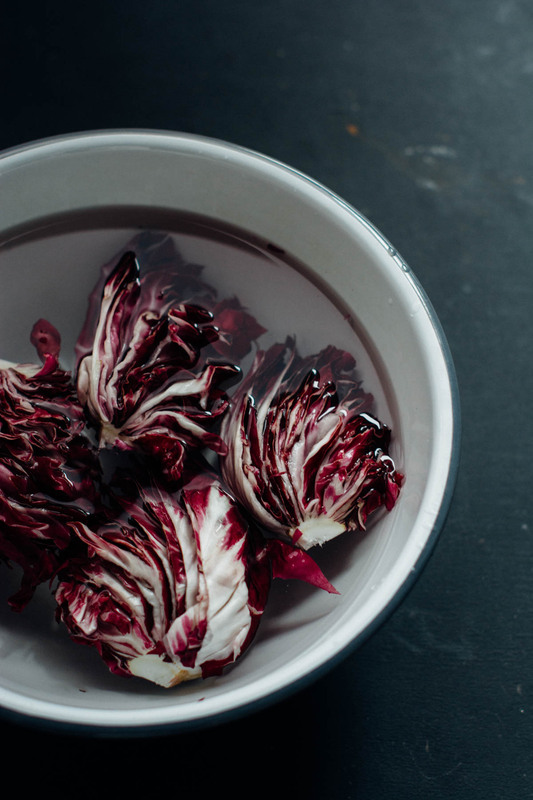 Radicchio is a member of the chicory family and is bold, bitter and full of flavor and should be easy to find since it’s a late winter vegetable. If you find the bitterness too strong you can soak the leaves in cold water for an hour to temper it’s strong bite. 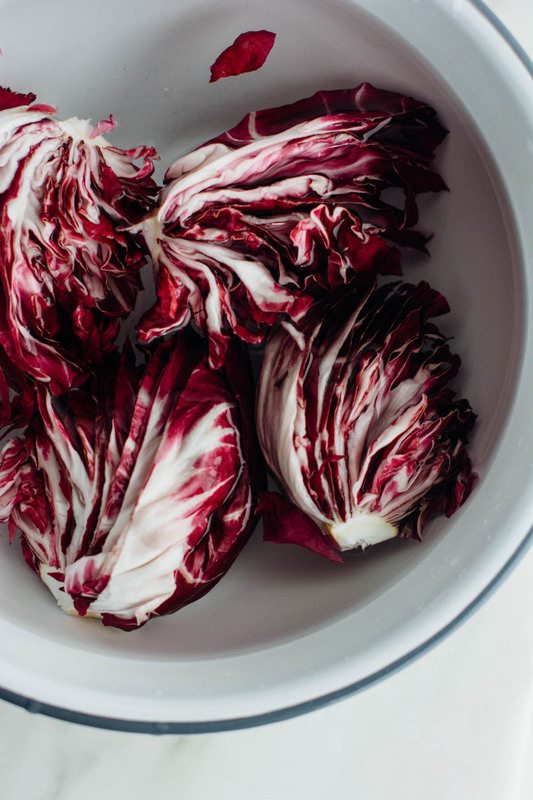 Radicchio also lends itself well to grilling. Cut it into quarters leaving the stem end attached, toss with a little olive oil and grill for 2-3 minutes on each side. 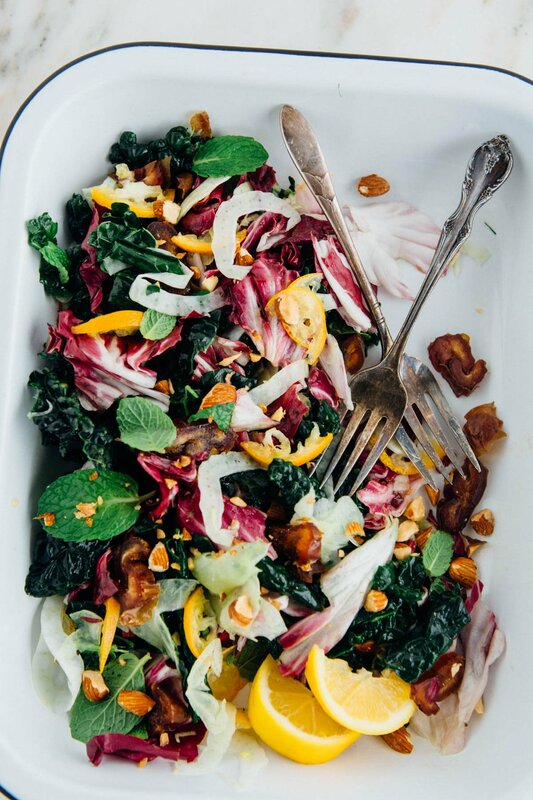 We like to eat it with shaved butternut squash and some roasted nuts. 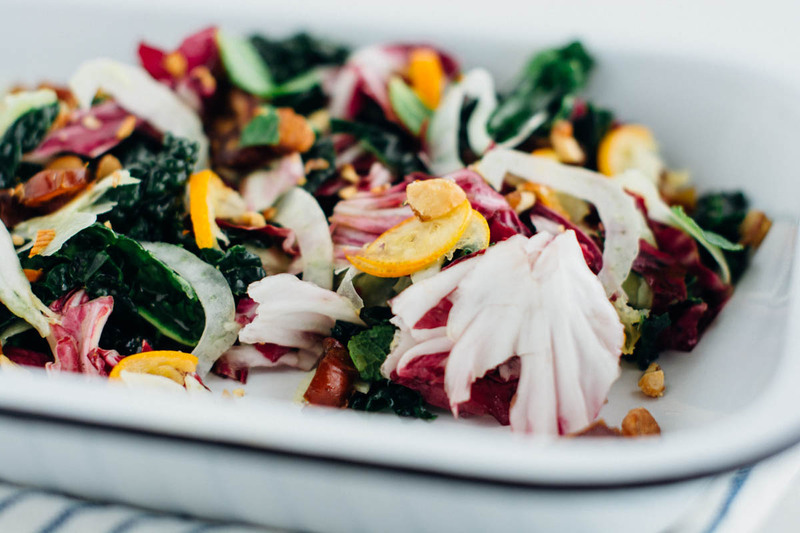 This salad is bright, refreshing and easy to prepare. 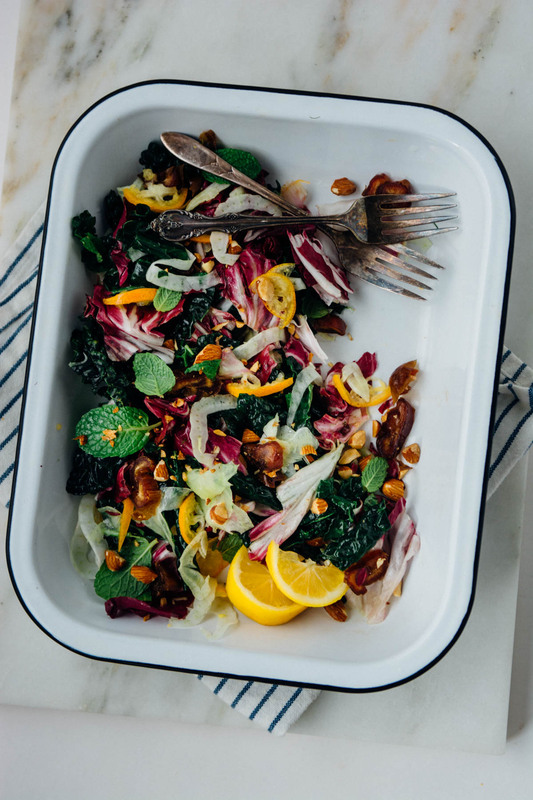 Best of all it’s full of hardy greens that can be prepared ahead of time and stored in the fridge for a day or two. 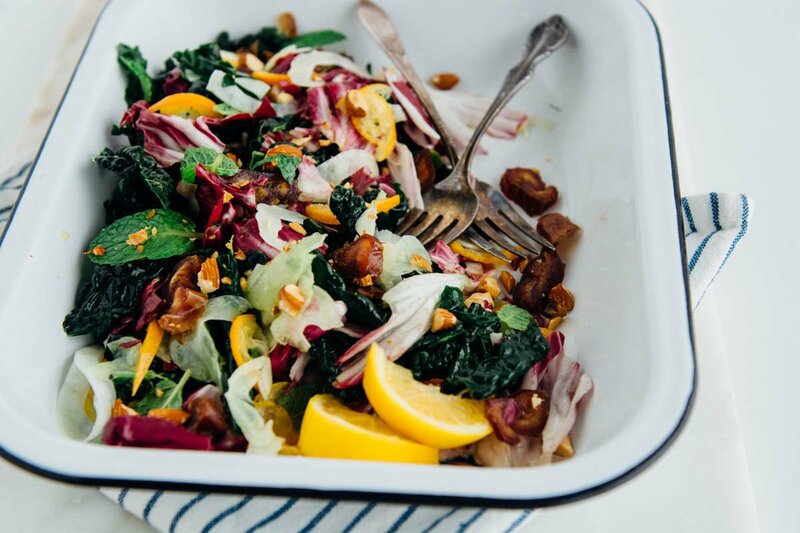 This salad is bright, refreshing and easy to prepare. 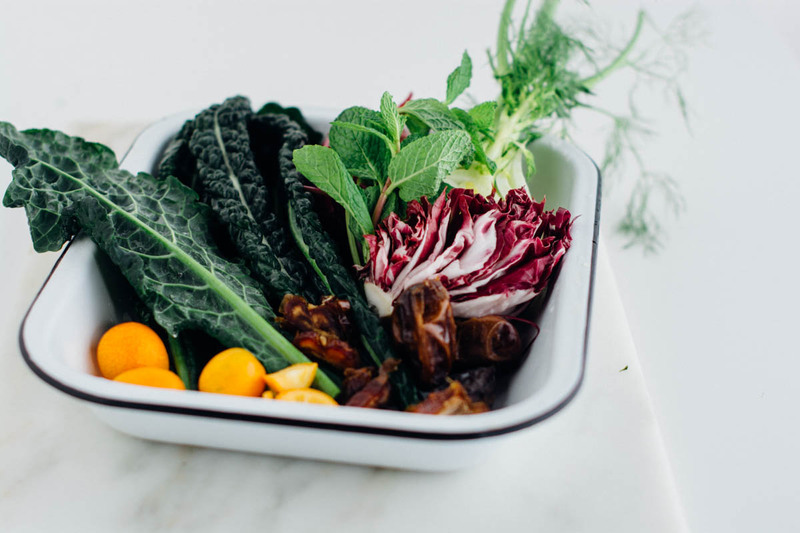 Best of all it’s full of hardy greens that can be prepared ahead of time and stored in the fridge for a day or two. Life continues to throw curveballs at every turn. My son has been sidelined with a knee injury for the last eight weeks and I really feel for him since he’s unable to do the one thing that makes him happy. Having a single-minded focus can be a recipe for success but when you are unable to follow that burning desire it can send you into a tailspin. His physical therapist suggested we try taping his knees to take some pressure off, so I found myself shaving his legs in my bathtub at 10:30 last night. That is an experience I don’t need to repeat anytime soon. It seemed to take forever and was a huge mess that I enjoyed cleaning up in the dead of night. It’s amazing the things we do for our kids without a thought. 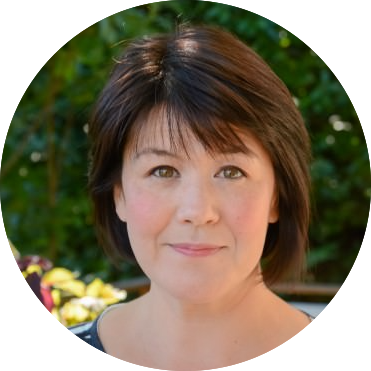 I think back to my younger self and know that I would never have considered doing most of the things that motherhood makes seem reasonable, expected and ordinary. 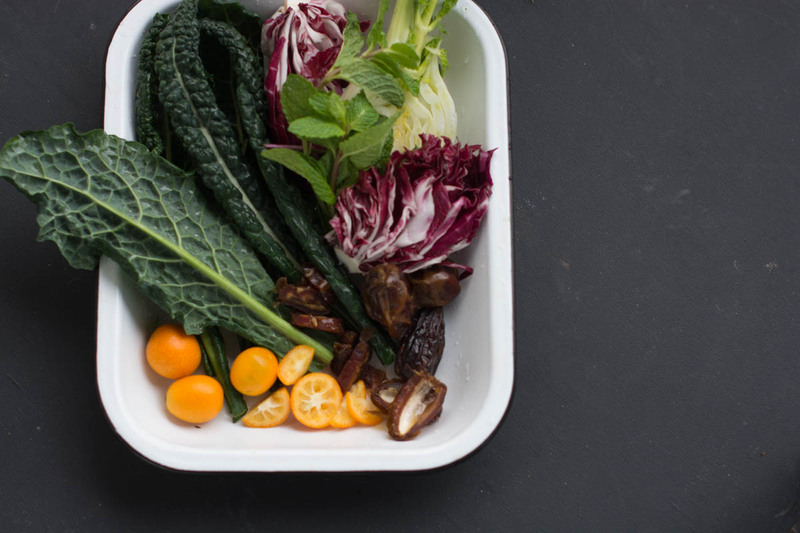 This salad features hardy winter greens, sweet dates and tart kumquats. The perfect solution for the winter blues! 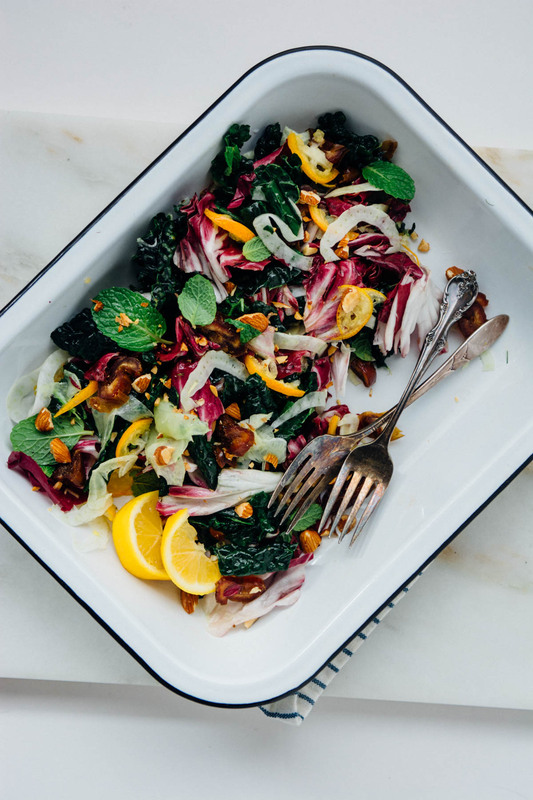 Add the radicchio, kale, and fennel to the bowl and using your fingers massage the dressing into the vegetables for a minute or so to soften. 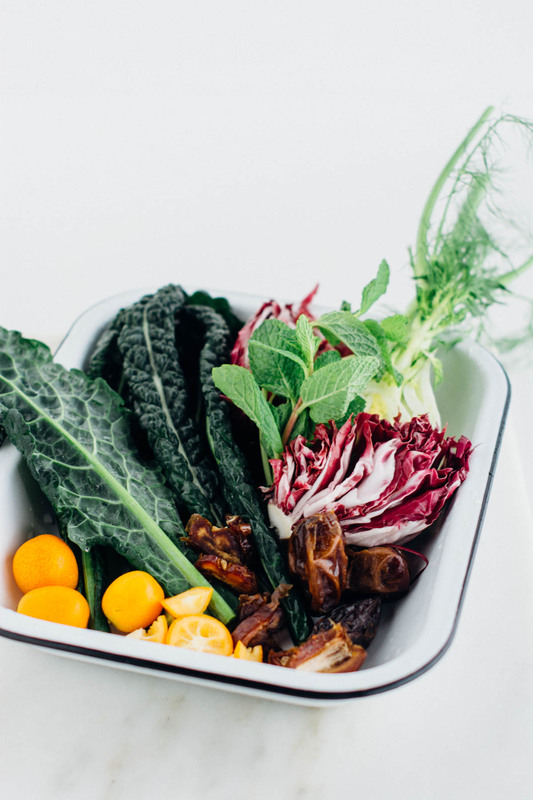 Add the kumquats, hazelnuts, dates and mint and toss gently to combine. Taste and add more salt or lemon juice if desired.